Heyy buddies! We heard about that you might not clear on how to redeem the credit in your order. 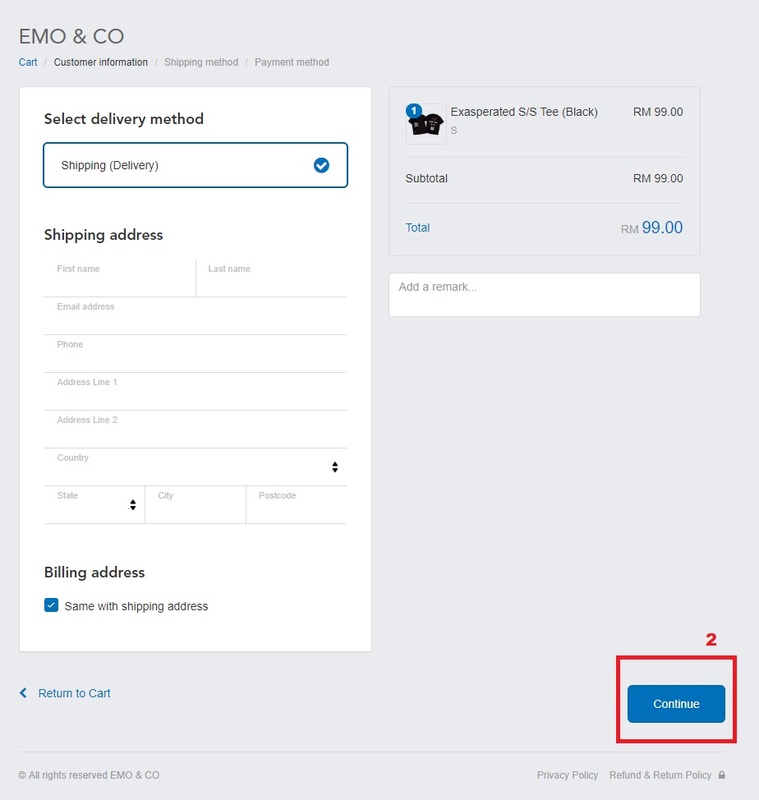 Our EMO team has been listed out 5 steps for you to redeem the credit! Choose the collections you wish to purchase then go to the Cart and click the "Check Out" to proceed to the shipping site. 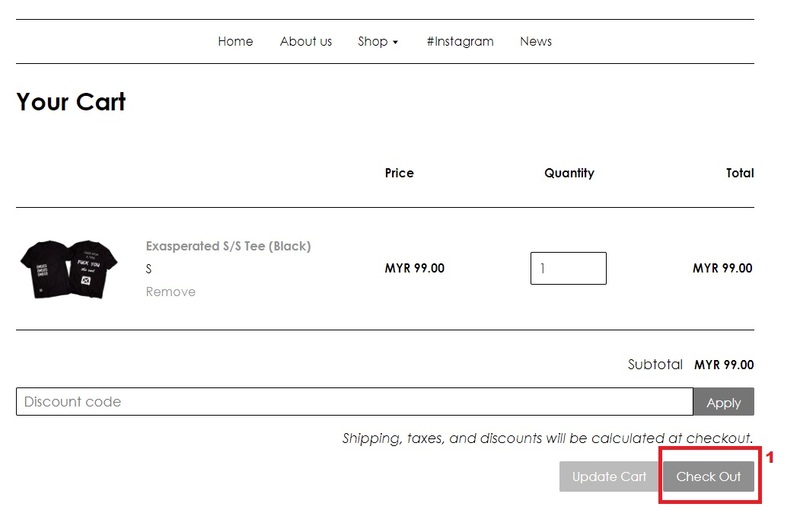 *Before you check out, make sure you selected the correct design & size. After you clicked the Check Out, it will direct you to this page which is the payment site. You have to fill in the shipping address for us to deliver your goods to your house. Click "Continue" to proceed. *Make sure you tick the billing address as same with shipping address. 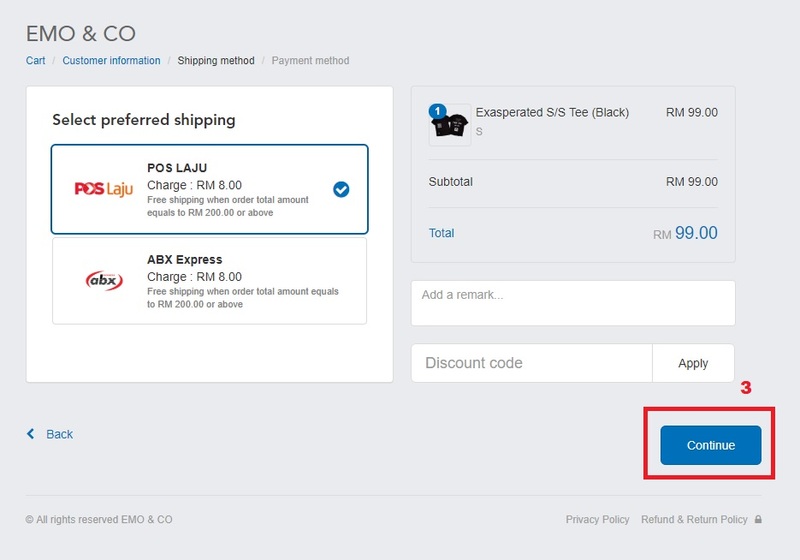 Click the "Use Credit (Balance : RM10.00)" to apply the credit. 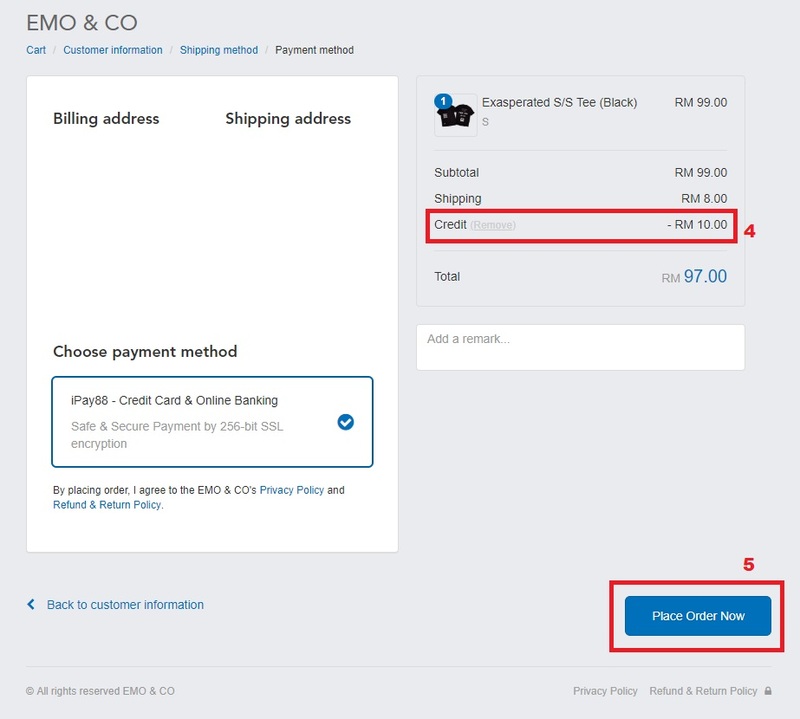 As the diagram below shown the "Use Credit" button disappeared which means your credit is deducted in your order. 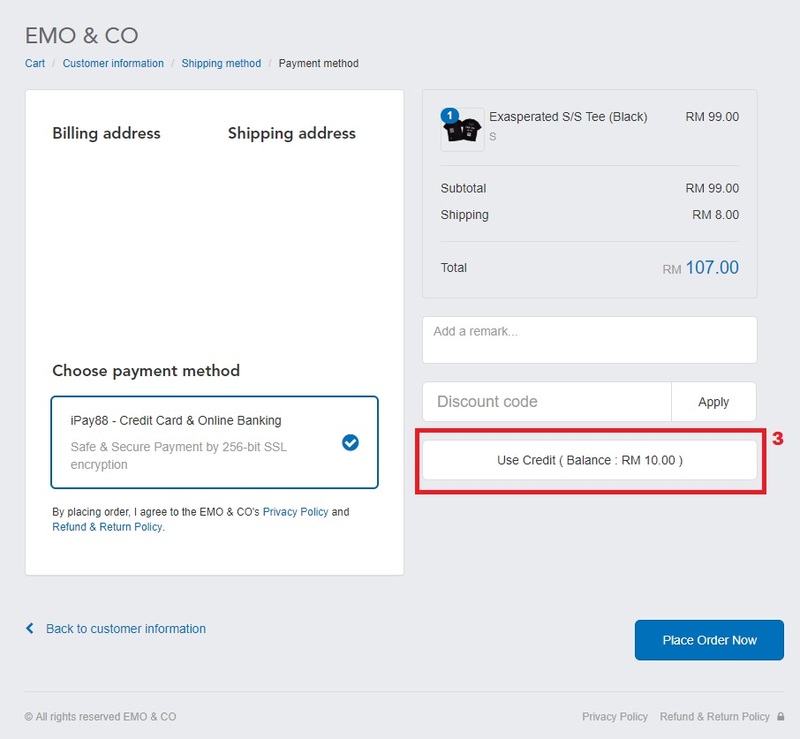 Lastly, you can click the "Place Order Now" to proceed to the payment site. *Make sure double check the shipping address before you place order.